Juliette Binoche delivers a luminous performance in the deliciously witty, sensuously romantic new film from acclaimed director Claire Denis. 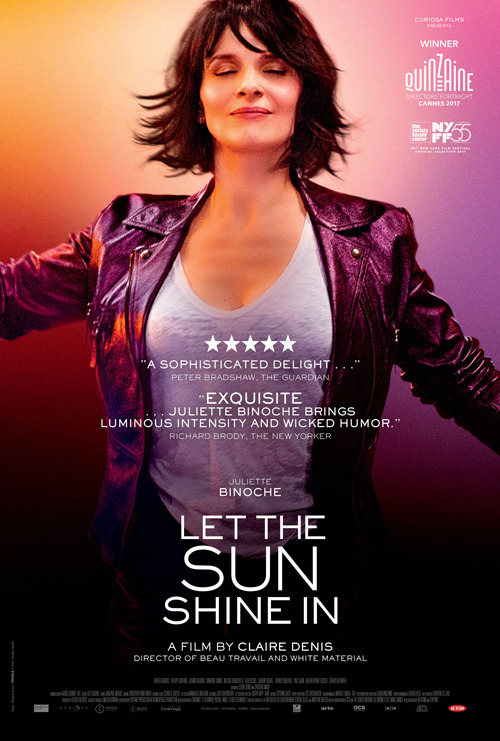 Isabelle (Binoche) is a divorced Parisian painter searching for another shot at love, but refusing to settle for the parade of all-too-flawed men who drift in and out of her life. There’s a caddish banker (Xavier Beauvois) who, like many of her lovers, happens to be married; a handsome actor (Nicolas Duvauchelle) who’s working through his own hang-ups; and a sensitive fellow artist (Alex Descas) who’s skittish about commitment. What reads like a standard romantic comedy premise is transformed, in the hands of master filmmaker Denis, into something altogether deeper, more poignant, and perceptive about the profound mysteries of love.